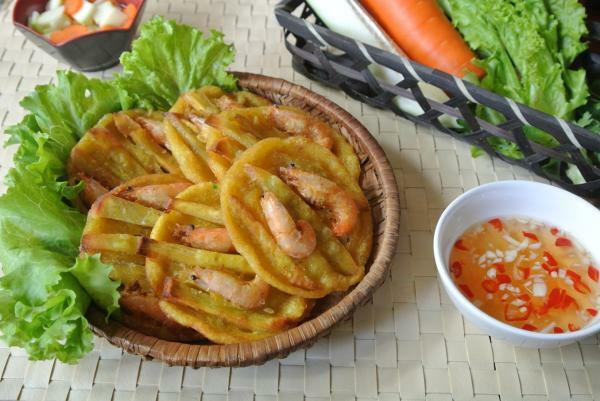 There is a cake must be mentioned when it comes to the specialties of Hanoi, which is the West Lake shrimp cake – one of the dishes made ​​culinary peculiarities of Ha Thanh. The West Lake shrimp cake is a type of batter-dipped shrimp patties that were originally made and served by a state-owned restaurant next to West Lake in the 1970’s. Originally, freshwater shrimp that were caught from West Lake were used to make the dish, hence geographically inspired moniker. The West Lake shrimp cake is served with sweet and sour fish sauce, green papaya and carrot slices. There’s nothing too complicated to make shrimp cakes, just simple combination of flour, tapioca flour, potato and fresh shrimp. Cakes after frying will be left to reduce fat and served with sweet and sour fish sauce and a little salad. 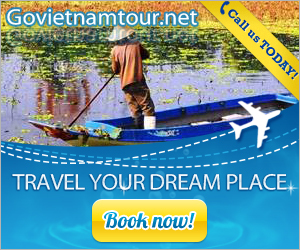 But the point of making a big difference is the fried shrimp that must be catched from the West Lake. Because only this kind of shrimp brings dinners a taste of the firm, mild and sweet meat that you can not find elsewhere. Today activities have much changed, shrimp caught from Lake West is no longer plentiful as before, so the West lake shrimps can be replaced by raised shrimps. 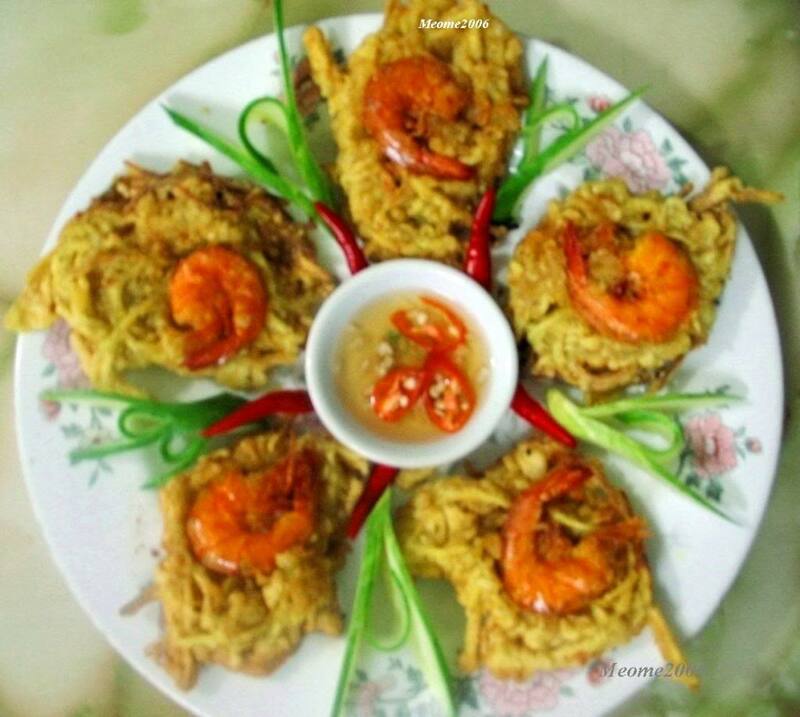 No matter how much the life changed, the specialties of West Lake shrimp cake remains its traditional flavor, so that anyone once enjoys this food will remember forever the golden color crispy crust, the red color of fresh, firm and sweet shrimps and fleshy taste of each sweet potato.